As we greet 2014, we are faced with some of the coldest temperatures on record. A consequence of this is lots of frozen and busted water pipes. So how do we prevent that? By leaving some water running? NO. Not theoretically. Water freezes at 32 deg F, whether it’s moving or not. So moving water freezes just as stagnant water freezes. However, keeping it running will allow warmer water, from the building or city water main, to displace the colder water in the piping. So, for example, if you have a water line running outside your building, it will be subject to freezing when the ambient temperature drops below freezing (32 deg F for water). If, however, the ambient temperature in the building is above freezing, the pipes in the building will be safe from freezing. So, you may leave the water running from the pipe outside and allow the warmer water from within to displace the freezing water in the pipe and prevent freezing. This will work, but it can be problematic. For one thing, you will have a substantial increase in water flow and increase in your water bill. 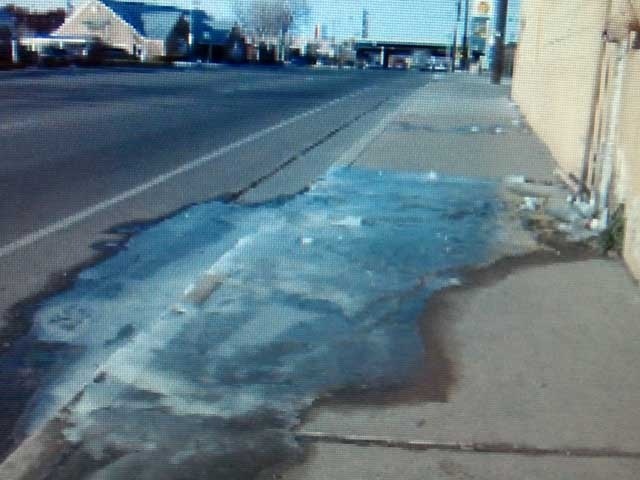 Additionally, once the water leaves the pipe it is again subject to freezing, which could mean a substantial ice sheet outside your building, which could be a safety hazard. Perhaps a better way would be to control the water flow as needed.